Without a doubt, Exchange Online eliminates the burden of maintaining your own mail server. But it's still important to get insights into the health of Exchange Online so you can detect issues like service outages that might occur at any given time. 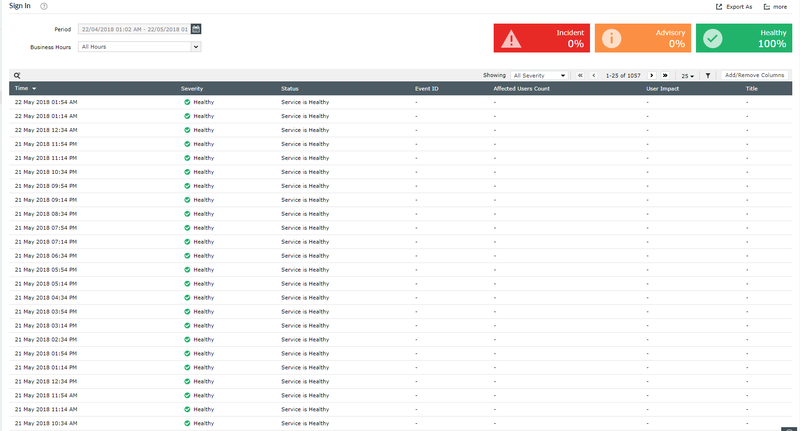 You could rely on Office 365's Service Health Dashboard (SHD) for monitoring Exchange Online, or any other Office 365 service, but that wouldn't be very efficient. Here's why. The Office 365 SHD allows admins to monitor Exchange Online—along with other Office 365 services—for downtime, incidents, advisories, and so on. One of the key problems with the SHD is that the only people who can see the SHD are system administrators. Since the typical customer isn't a sysadmin, they can't consult the SHD at all, and the SHD includes no email notifications or ways to share reports over email. There have also been times when the SHD significantly lagged in notifying users about service outages. As more and more organizations are becoming dependent on cloud-sourced services, enterprises are needing to establish their own monitoring setups to get real-time notifications on outages. Slow response times can be caused by everything from DNS resolution problems, to network delays, to application wait times. A Microsoft support ticket won’t help you much if the problem is a network delay caused by your ISP. Likewise, your ISP can't really help with your Office 365 performance problem if the issue is long application wait time. Visibility is the key to developing effective operational processes with Office 365. 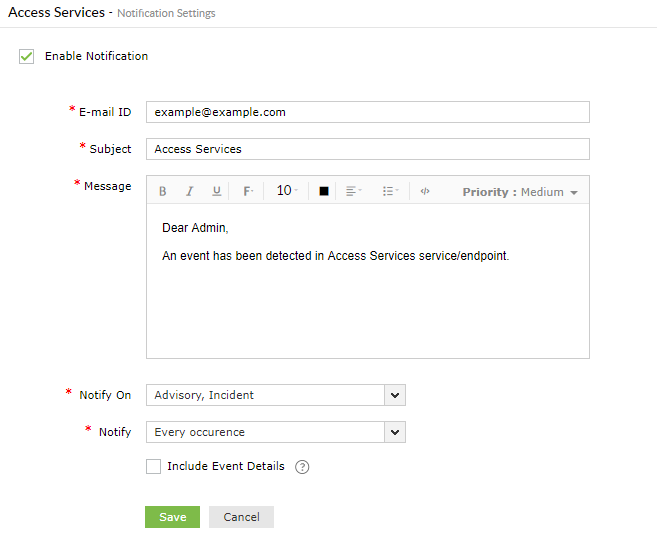 O365 Manager Plus monitors the endpoints of Exchange Online to keep the availability and performance of the service in check. 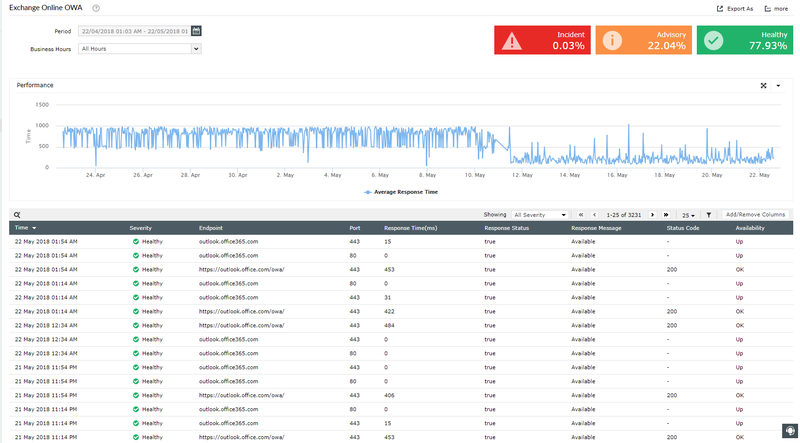 It provides response time graphs for each endpoint, which helps you understand Exchange Online’s performance over time. In-depth graphs: View graphs illustrating the health status of Office 365 services to facilitate quick decision-making.